Danville, Virginia is where I usually go when I want to be sure I’ll find something interesting to photograph. If you have been looking at this blog for a while, you may recall that I’ve posted several photos I made there. The historic tobacco warehouse region is one place I always head to first. This image is typical. 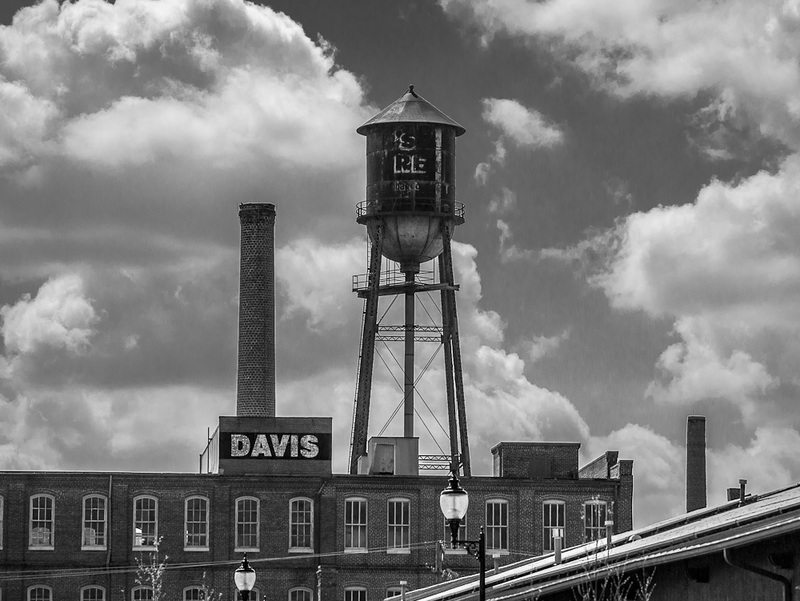 I wanted to convert my color image to black and white because that gave me some creative possibilities on how to portray the nice clouds in the sky, behind the watertank and smokestack. 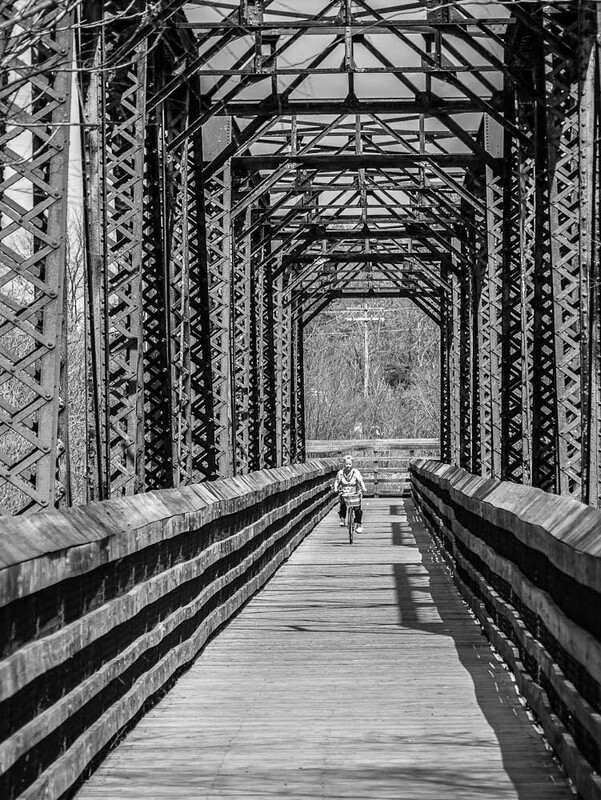 There is an old Civil War era railroad bridge over the Dan River that has been converted to a popular route for bikers, joggers, walkers and others who wish to easily cross the famous river. As she passed by, I greeted this nice lady biker.